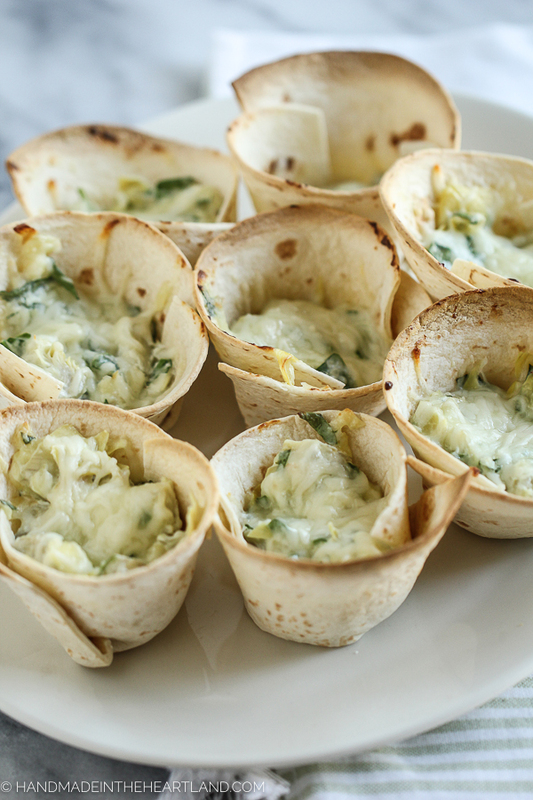 These spinach artichoke tortilla cups are the perfect appetizer recipe for game day, everyone will agree! This post contains affiliate links. I know I’ve said this before but the best thing about watching any game on tv is making food and having friends over to watch it. Let’s be honest those are the only things I think are fun about watching a sports game on tv. 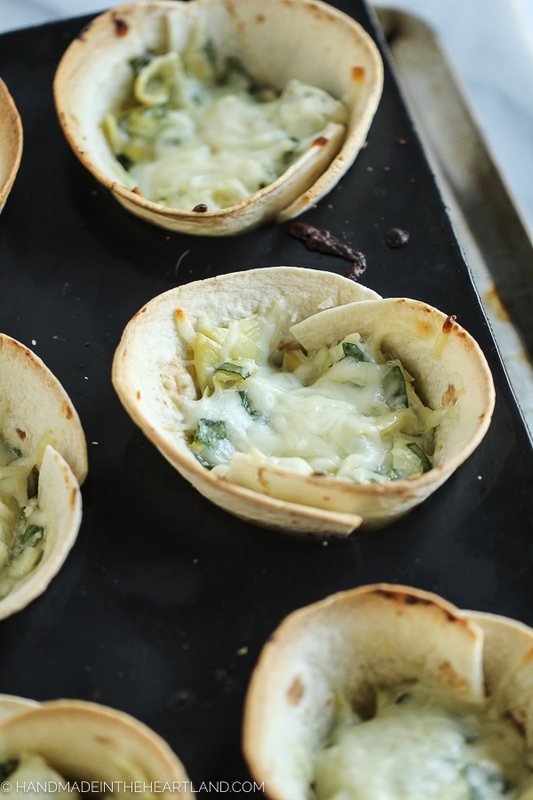 These spinach artichoke tortilla cups are going to disappear before your eyes at your next watch party, promise! Everyone loves a good spinach dip and when they are made in individual portions is easy for everyone to enjoy them know matter where they are sitting to watch the game. This is another recipe where I used my favorite Demarle at Home Flexipan Muffin Tray. It is literally life. changing! You don’t flour, grease or spray it and NOTHING sticks to it. Have you ever made eggs in a metal muffin tray? If you don’t douse that thing with cooking spray you’ve got a big mess, and even if you do you’re still probably having to soak it to clean it, right?! NOT with a flexipan. You might remember my Chili Rellenos Egg Cups which I made with my muffin tray, so good and so easy! click HERE to get your very own. To get these tortillas in the muffin tray I did a little trick. You can see the photo below where I cut uneven triangles from 2 sides of the circle of a taco sized (small) flour tortilla. 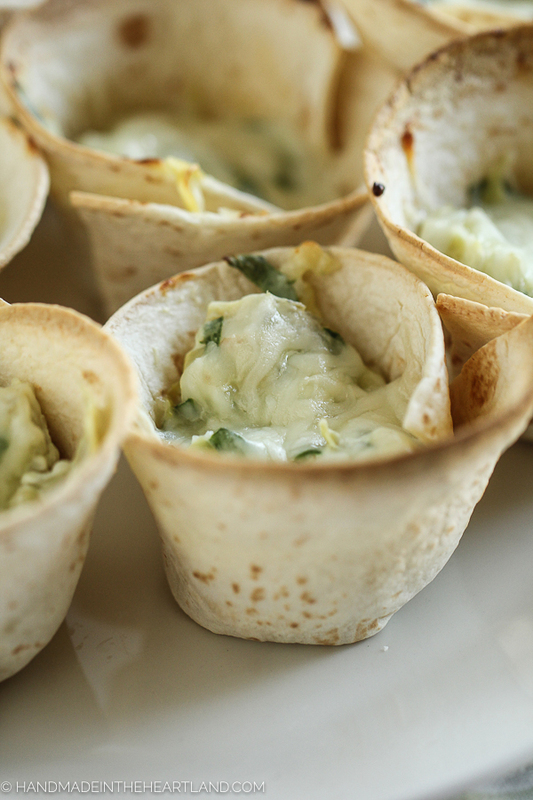 Watch the video below to see how I fold them to make them fit perfectly into the muffin cups. It’s so much easier with those little pieces cut out, I promise! I love serving individual portioned appetizers, they are convenient for everyone to grab and eat. The combination of cheese, spinach, artichoke hearts warm in a tortilla shell is seriously a winning combo, you’re going to love this recipe! 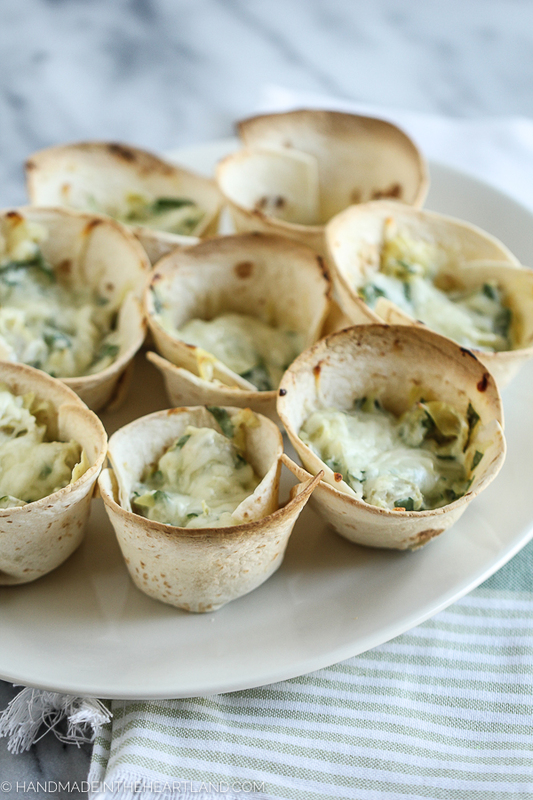 These spinach artichoke tortilla cups are the perfect appetizer recipe for game day, everyone will agree! Preheat the oven to 400. 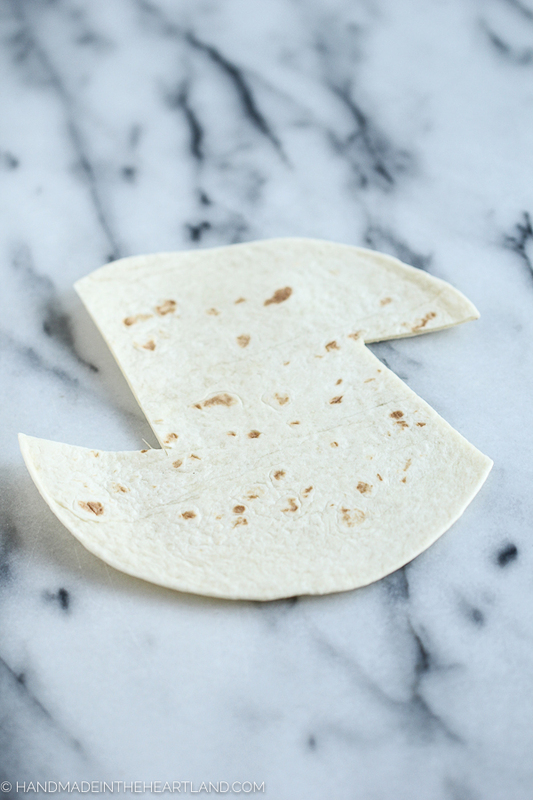 Cut small triangles out of 2 of the sides of each of the tortillas, see photo. To fit the tortillas into the muffin tray take the two bottom points of the open triangle you cut out on each side and pull them together while pushing the center of tortilla down into the muffin cup. Place them in a muffin tray, if you are using a metal muffin tray you might want to spray with non-stick spray. Mix all the ingredients together (leave out the mozzarella) and then fill the tortillas with dip mixture. I used about 1/4 cup in each well. Top each cup with shredded mozzarella. Bake at 400 for 15-20 minutes. You want the cheese to be melty and the tortilla edges to be slightly brown. 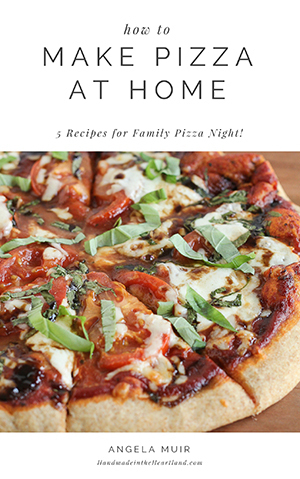 Enjoy warm with family and friends! If you make these please share it with me!! It thrills me to hear from you and see what you’ve made! Leave a comment or tag me on Instagram (@handmadeintheheartland) or facebook!